A couple weeks ago, a fellow blogger Nicole (and girl I love to follow on Instagram) sent me some of her granola and boost bites to try. At first, I was skeptical. These products are completely natural in every way. Gluten free, dairy free, gmo free, kosher, etc. With all that healthiness, there is no way that they taste good…right? Everything I tried, I loved. The granola was awesome and I especially loved the bites. The granola was a daily snack in my greek yogurt. One small packet equaled 3 servings for me, so I could really stretch a bag if I measured it out in advance. And the bites made for a perfect 10am or 3pm snack (those are my daily snacking times). 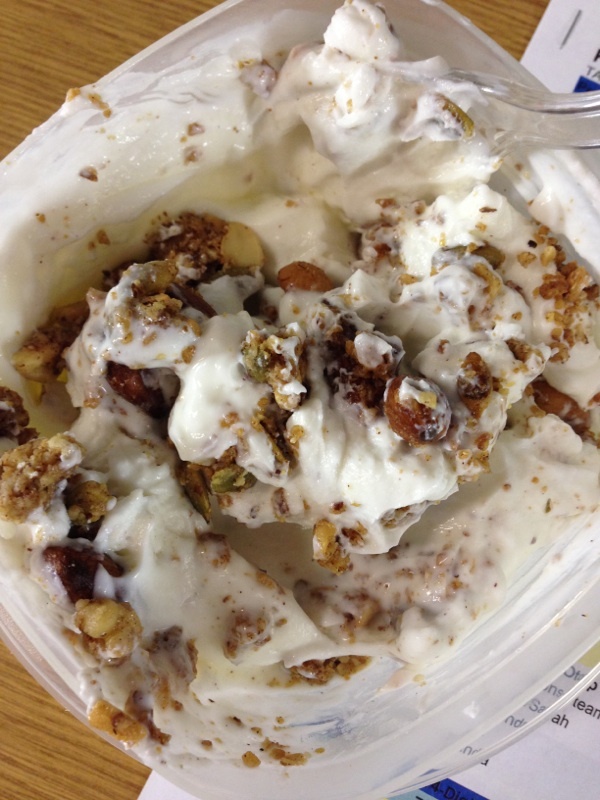 maple nut crunched mixed in plain Fage Greek yogurt. As I said above, these snacks are super healthy. I usually avoid buying granola and pre-made granola bars because of all the extra stuff you get in them. 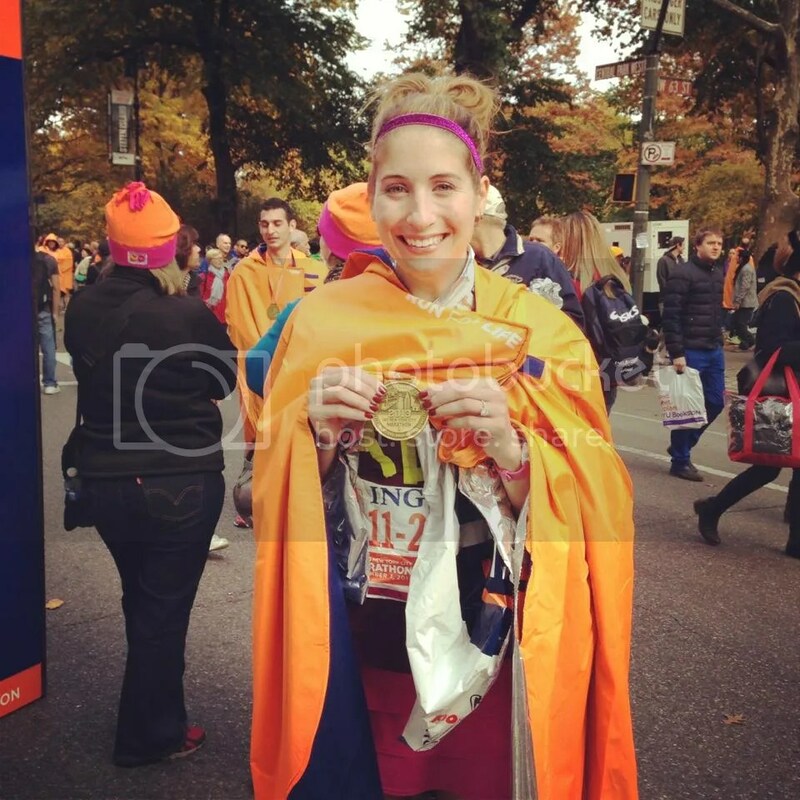 But with Blissful eats, I was snacking guilt free. The bites pack 1/4c fruit, 4g protein and 2g fiber per serving. And the granola is full of nuts, seeds, and good fats. My favorite flavor in the bites was the chocolate flavor. And my favorite granola was the maple nut crunch. Want to try some too? Thought so. Check out Blissful Eats on Amazon and on Nicole’s website. And if you want a great discount, go to blissful-eats.com and enter “miles15” at checkout. What is your go-to snack during the day? 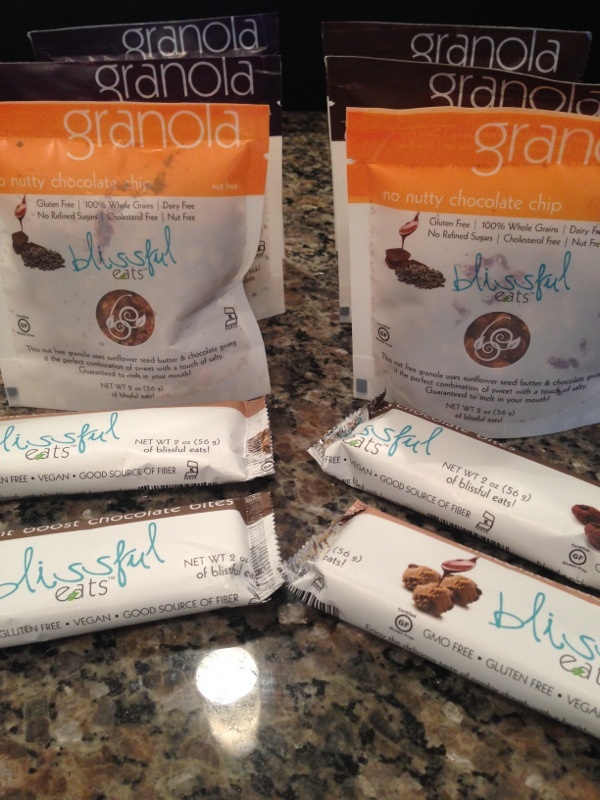 Have you every tried Blissful Eats?